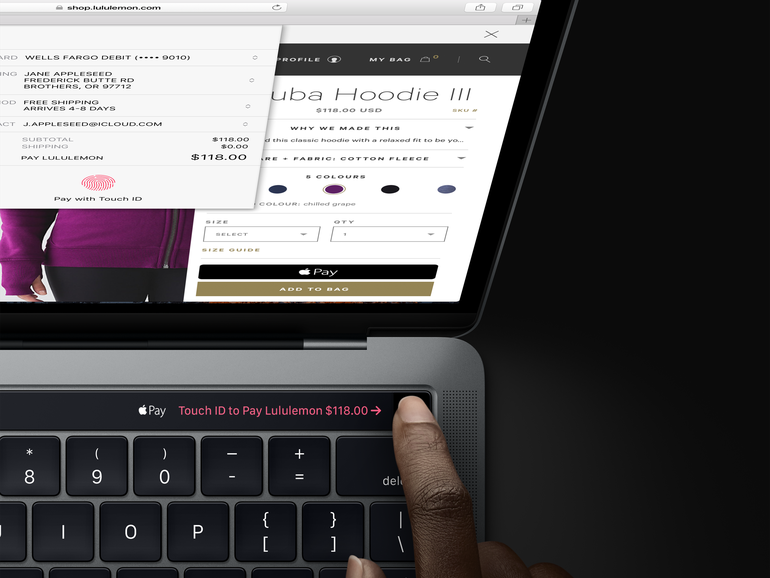 "It provides all your system functions that you're used to up there," said Schiller, pointing to the Touch Bar. "But in a much more attractive, better, adaptable way." So, for example, you can adjust the brightness or the volume just by touching the bar. "It provides all your system functions," he said. "That alone replaces everything that the function keys were ever being used for anymore, but it does so much more." The RAM is now a faster 2,133MHz version, while the built-in solid state storage can transfer data faster, at up to 3.1 gigabytes per second. According to Apple, the displays, while retaining the same Retina resolution, are both brighter and have a wider color range, and consume 30 percent less power. These are specs many users likely won't notice in everyday use, although faster storage is key for transferring large files (like videos) and a brighter screen is always welcome. Left off from my personal wish list is a full OLED display, a feature just starting to turn up in a handful of high-end Windows laptops.